Flaky pastry with delicious cinnamon and brown sugar coated apple filling. 2. In a bowl add the apples and toss them in lemon juice. 3. In another bowl add the sugar and cinnamon and mix well. 4. Grease a baking tray and place the pastry sheet on it. 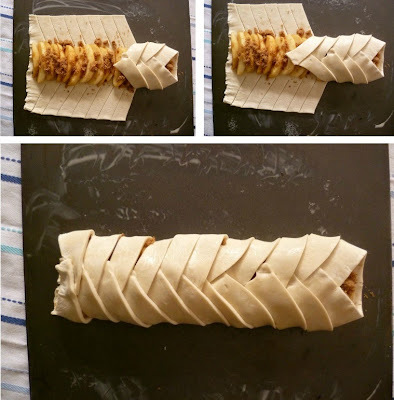 5.Working with the pastry vertically place a line of overlapping apples in the centre of the pastry sheet. 6. Sprinkle the brown sugar and cinnamon mixture on it. 7. On the right and left sides of pastry, using a sharp knife cut diagonal slits 1 inch wide starting at the apples and ending at the edge of the pastry. 8. 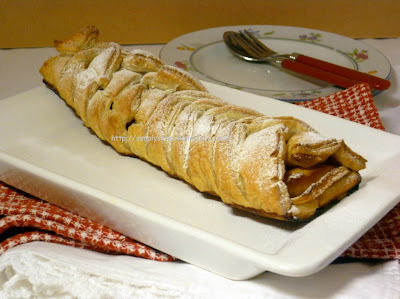 Taking a pastry slit from the right side, fold it over the apple towards the left. 9. Take the opposite slit from the left side folding it over to the right side to overlap. 10.Continue plaiting alternate slits from right and left sides of pastry until a plait forms over the apple slices. 11. Once all the pasty has been plaited over the apples, brush the pastry with some melted butter and bake in the oven for 30 minutes or until pastry is golden brown. 12. Remove from oven and cool slightly. Serve the Apple tart with cold vanilla ice cream. British summer captured in a glass, refreshing summer strawberries in an ice cold smoothie. 1. Wash the strawberries and hull them. 2. Dice the strawberries and add them to a blender. 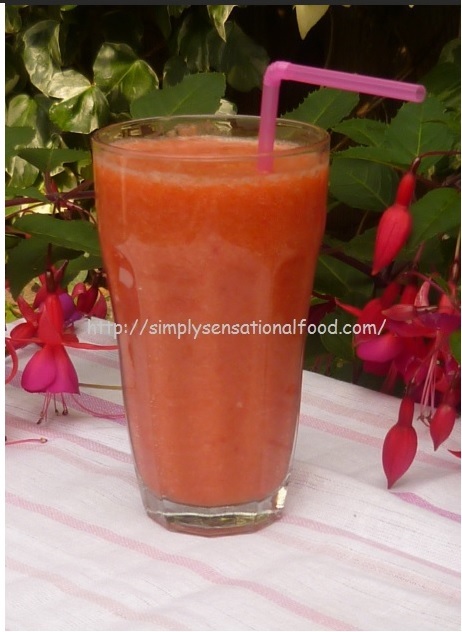 3.Add the icing sugar and apple juice and blend the strawberries to form a smoothie. 4. 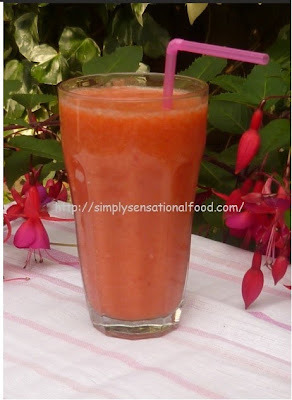 Add crushed ice to a tall glass and pour the strawberry smoothie in it. 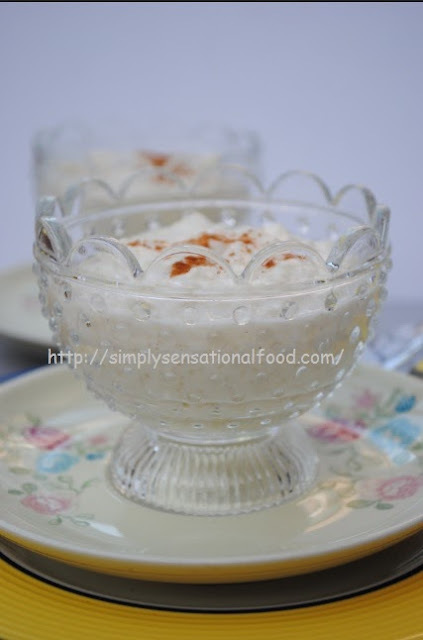 Creamy and rich cinnamon scented German rice pudding. 3. Place the bowl of milk in the microwave and cook on high for 15 minutes, stir the milk intermittently at 3 minute intervals. 4. Remove the milk from the microwave and add the sugar and cream and mix well.Return the milk back to the microwave and cook for another 10 minute,stirring intermittently every three minutes. 5. Drain the soaked rice, add approx 500 ml water to the rice and place the rice on cooker to boil , once the water boils lower the flame and simmer the rice for 10 minutes until most of the water is absorbed and rice is well cooked and mushy. 6. With a wooden spoon mash the rice up slightly and remove it from the cooker. 7. Remove the milk and cream mixture from the microwave and add the boiled mashed rice to it nad mix well.Add the vanilla essence and mix. 8. Return the rice to the microwave and cook on medium heat for another 10 minutes stirring intermittently every three minutes. 9. 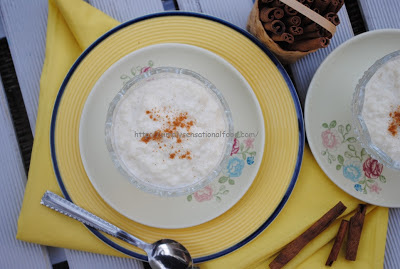 Remove the rice pudding from the microwave and leave to cool. 10. 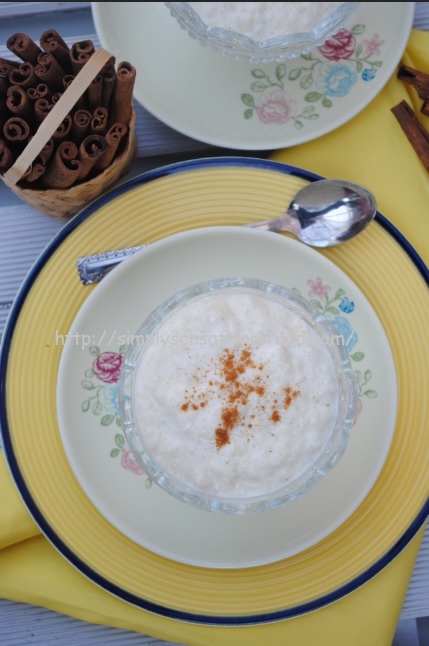 Transfer the rice pudding to serving bowls and sprinkle with some ground cinnamon. 11. Serve at room temperature or chilled. 2. Cream together the sugar and butter until light and fluffy. 3. Whisk the eggs in a separate bowl to mix together the white and the yolk. 4. Sieve the flour and baking powder. 5. Add alternate spoonfuls of flour and eggs to the butter and sugar until all the flour and eggs are mixed into the butter and sugar.Add the vanilla and fold gently.Do not over mix the batter. 7. Remove from oven and transfer them to wire rack to cool completely. 8. Add the butter, trex and vanilla into a mixing bowl and whisk the butter until soft and creamy. Add small amounts of icing sugar to the butter and continuously whisk until all the icing sugar is mixed into the butter. 9. 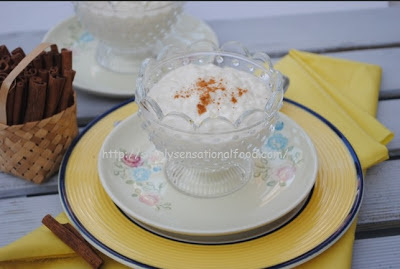 If the butter cream appears too thick you can add 1-2 tablespoons of milk and whisk again to thin it down.The consistency should be fairly stiff. 10.To the prepared butter cream add a few drops of green food colouring to tint it green.Add a grass nozzle (wilton 234) to the piping bag and fill it with green butter cream and keep aside. 11. 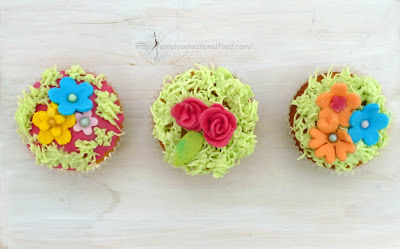 Roll out the coloured fondant and using flower cutters cut out assorted flower shapes in different sizes. 12. 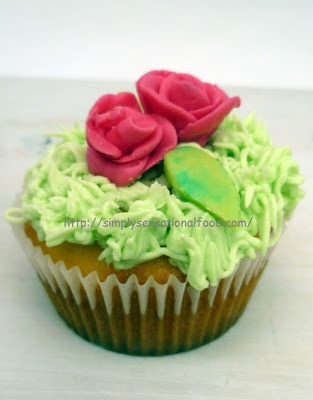 Pipe the top of the cup cakes with the green butter cream to replicate grass.You can watch this video here on how pipe grass. 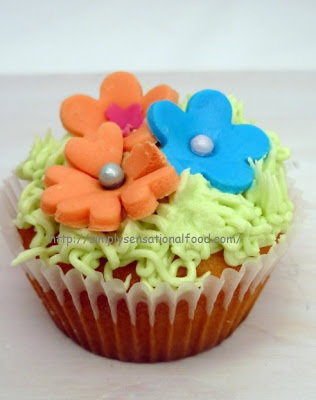 13.Add the cut out flowers on top of the icing. NB-The addition of trex will give the butter cream a nice gloss and it will stabilize it. Entering these cute little garden cupcakes to the rangecookers.co.uk creative cupcake competition. 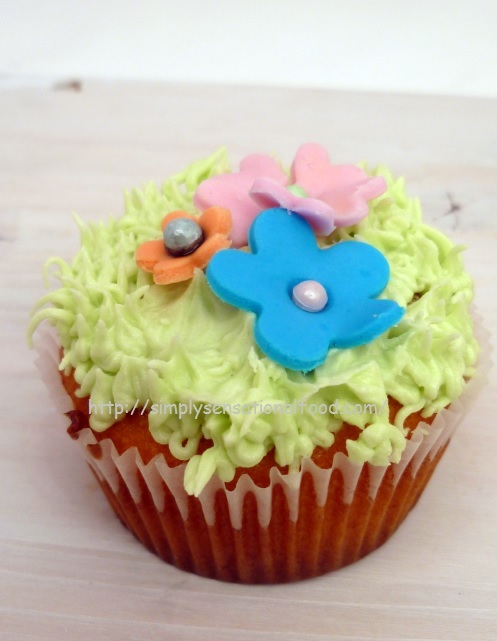 If you have baked a cupcake why not try entering this competition , the prize is a range cooker. Nutty toasted hazelnuts smothered in milk chocolate and topped with creamy white chocolate. 1. In a dry pan add the hazelnuts and toast them for 3-4 minutes,Keep moving them as not to burn them. 2. Once toasted transfer the hazelnuts to a tea towel and rub them to remove the skin.Discard the skins. 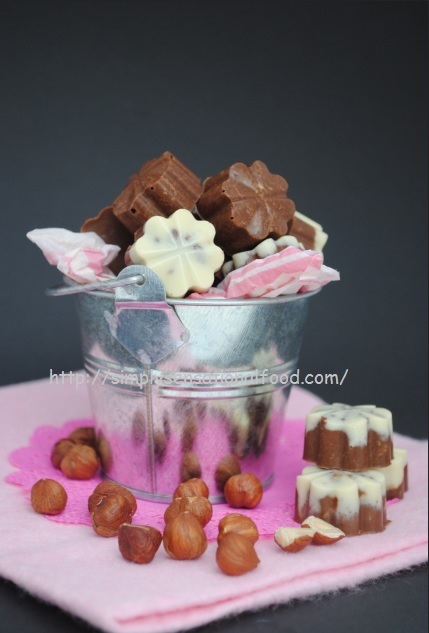 4.Break the milk chocolate into small pieces and reserve a quarter of the pieces . 5. Place the chocolate in a bowl over a double boiler and melt the chocolate.Check the temperature with a thermometer, when it reaches 112 degrees F /45 degrees C remove the bowl from the double boiler. 7. Repeat process for the white chocolate in same way. 8. To the milk chocolate add the chopped hazelnuts and mix well. 9. Place silicon chocolate moulds on baking tray. 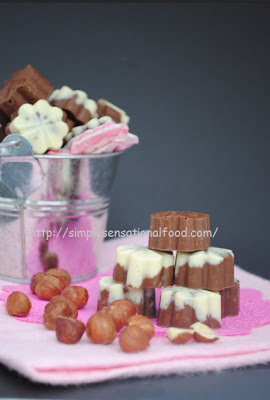 10.Half fill the moulds with white chocolate and then top the moulds with the hazelnut milk chocolate. 11. Tap the moulds slightly to release any air bubbles. 12. Leave the chocolate to reach room temperature after which place the moulds in the fridge. 13.After 2 hours remove moulds from fridge and de mould the chocolates. 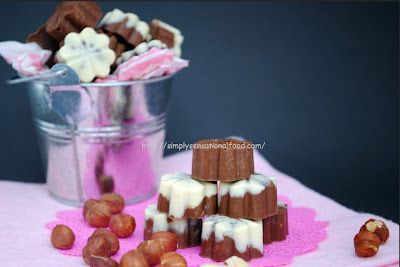 NB-I added only hazelnut chocolate to some moulds, White chocolate only to other moulds and a mix of white chocolate and hazelnut chocolate to some moulds so that there was a variation of chocolates. Thank you to every one who participated in this event. 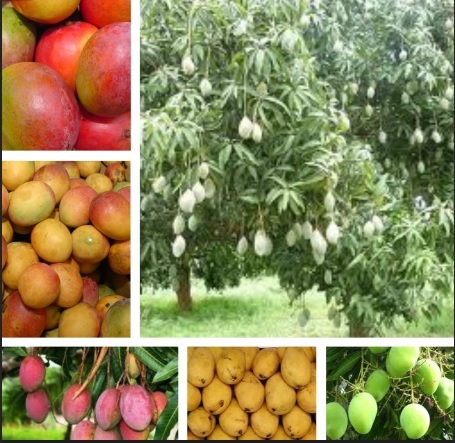 Here is the lovely round Up.